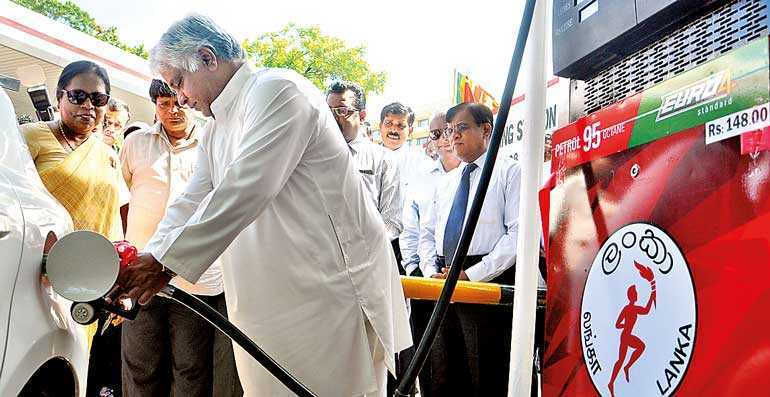 Ceylon Petroleum Corporation (CPC) yesterday launched European Emission Standard Euro 4fuel. The introduction of Euro 4 fuel to the local energy sector will propel the Government’s vision to transform its core energy products to meet the European Emission Standards. The highly efficient Euro 4 fuel will substitute the existing 95-octane petrol and Super Diesel 4 star, thus offering consumers a better product, which is both low-emission and high in fuel efficiency. The Euro 4 fuel will provide greater benefits to modern vehicles by further reducing CO emissions, and extends the engine efficiency of motor vehicles running on 92-octane petrol and Diesel-type fuel.